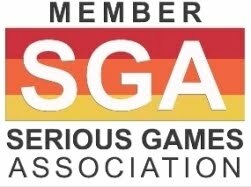 Following my prior posting 4th Annual Apply Serious Games 2009, you can vote for the winners of the Serious Games Awards in London here, then click through Entries to cast your vote. VOTE for the One to Win. Deadline 1 May. Winners announced shortly afterwards. Award presented by Lord Puttnam to Winners at Forum on 7 May in London. 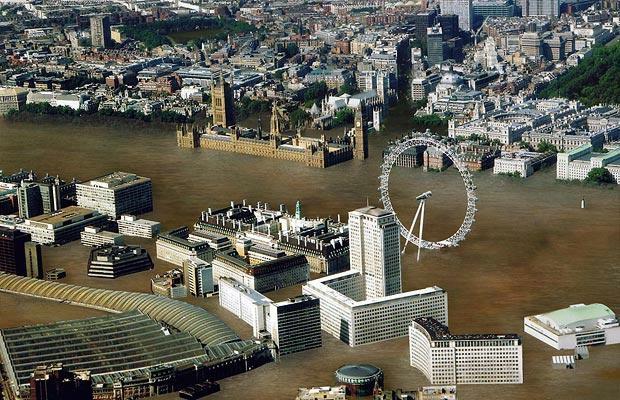 FloodSim puts you in control of all flood policy decisions and spending in the UK for 3 years. Whether it’s deciding how much money to allocate to flood defences, deciding where to build houses, or how best to inform people about the risk of flooding, you are in control. 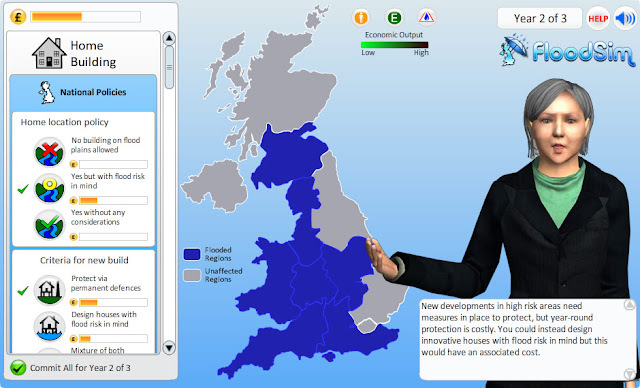 FloodSim is a Serious Game with the aims to raise awareness of the vast number of issues surrounding flood policy and Government expenditure and to increase citizen engagement through an accessible simulation. 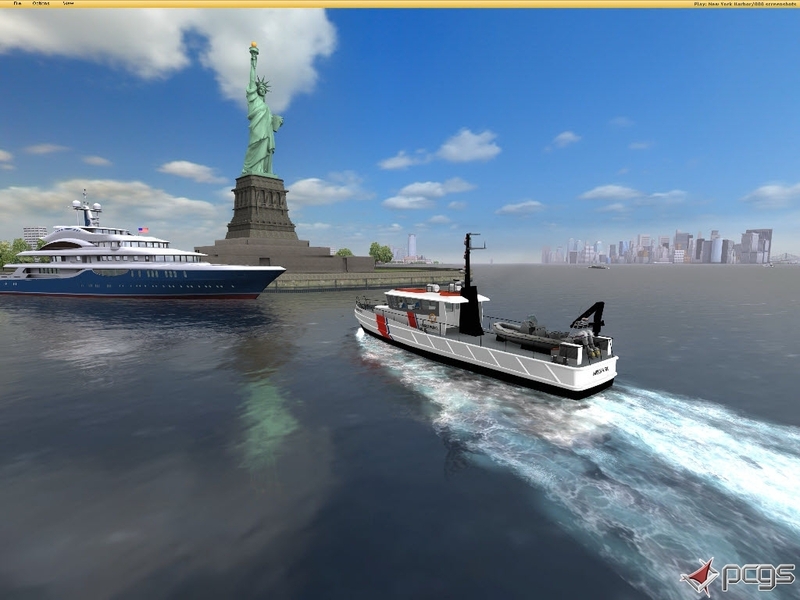 With Ship Simulator Professional, users get a top notch simulation at their disposal, featuring advanced ship dynamics. The entire Ship Simulator series from which Ship Simulator Professional is derived, have sold over 400.000 copies worldwide. The simulator has been published in 20 countries and 7 languages and is used by maritime institutes, naval academies and ship enthusiasts worldwide. 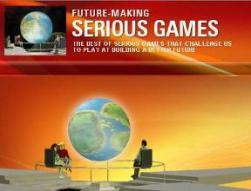 Object of my prior posting Serious Games Educate Small Businesses on IT Security Threats. 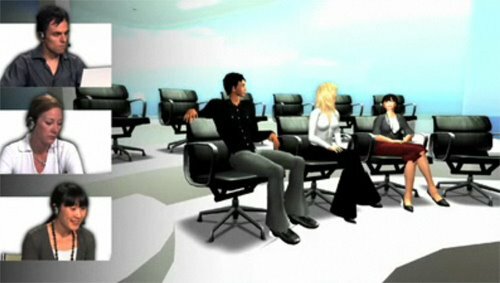 In October 2008, after months of testing and development, RRR launched the virtual world collaboration solution: Immersive Workspaces™, a collaboration solution, enabling enterprises to communicate and collaborate in a rich, 3D environment. Immersive Workspaces has been designed to be a blank canvas, with each client adding their color and experience. Seamless integration of any type of media enables users to move beyond the over reliance on Power Point. Object of my prior posting Serious Games: You As The Boss Of A Global Business - Update. 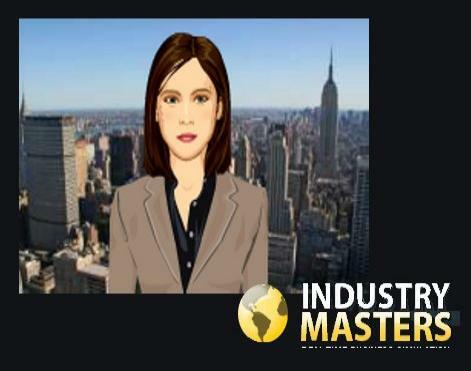 IndustryMasters is a business game that simulates competition in the world economy. You are the CEO of a multi-product company and with each product you are competing in a different industry. Within each industry, competition evolves based on your decisions and those of your competitors - the other players. The company that generates the most Profit, throughout it's product portfolio, will achieve the highest Share Price. This focused on the latest generation of Imparta's computer simulations, which O2 is using as its primary technology to train retail staff about the Customer Journey of those entering its outlets. In tough retailing conditions, the business need for consistent, just-in-time training that can be delivered at low variable costs is vital due to high staff numbers and churn rates in the retail sector. O2's management recognized that, as competition increased, the relationship between customer and salesperson was key to creating a differentiated customer experience, and as such they needed a sales process that would drive a more customer-centric approach. There was scope to improve both the sales staff's advisory skills and their product knowledge, and to raise the amount of revenue earned from stores by helping sales people identify higher-value customers, cross-sell products and tariffs, and increase capacity at busy times through more efficient selling. As there had been little training occurring beyond induction, and managers had not been given coaching skills, there was the chance to introduce an innovative program able to meet the cost-effectiveness and the training content issues. "Successful retailers were the first to see the importance of the in-store 'experience' to today's customers," says Richard Barkey, Imparta's CEO. "The interactions customers have with a company is a make or break factor when it comes to making a specific sale, and building loyalty. We're helping staff experience themselves what a difference they can make to those customer encounters - and, as a result, the company's profits." Owned by client: L'Oréal Professional Products, Hair-Be12 has been launched in 12 languages in more than 20 countries in the world. It is targeted at students in hairdressing schools and hairdressers in salons. 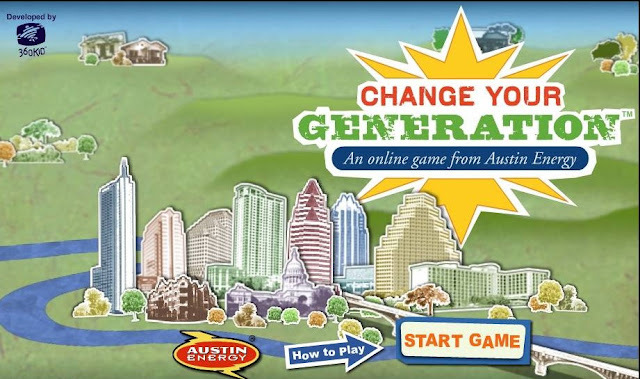 In partnership with the City of Austin's Public Participation Program, this game was created to help inform the public of the challenges inherent in powering a growing city and the various technologies employed to make that happen. In addition, the public can submit their data to Austin Energy to be collected and help inform the city and its managers on the priorities and ideas from the citizens. This game is a first of its kind to be used by a utility to communicate and educate those who are interested in the conversation.